Gorgeous Evening View Of Marienplatz - City-center Square & Transport Hub With Towering St. Peter's Church, Two Town Halls And A Toy Museum, Munich, Bavaria, Germany, Europe. Fotos, Retratos, Imágenes Y Fotografía De Archivo Libres De Derecho. Image 116552093. 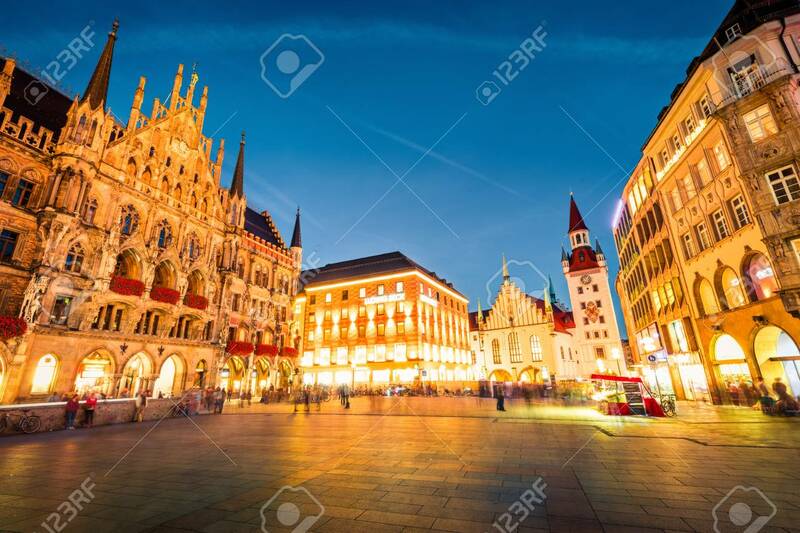 Foto de archivo - Gorgeous evening view of Marienplatz - City-center square & transport hub with towering St. Peter's church, two town halls and a toy museum, Munich, Bavaria, Germany, Europe. Gorgeous evening view of Marienplatz - City-center square & transport hub with towering St. Peter's church, two town halls and a toy museum, Munich, Bavaria, Germany, Europe.